• Safety and Performance –if you have any industry or commercial epoxy floor, safety is extremely important. Many times, your floor will need to be waterproof, slip-resistant and/or offer static control for ultimate performance and safety; so proper maintenance is key. • Appearance: if your floor has decorative high performance or custom industrial coating, it’s important to maintain its good looks. Finishes, special coatings, and logos on the floor impact your environment. Pristine floor appearance is particularly important in retail and commercial locations. • Durability: most floors often require occasional re-coat or touch-up depending on the usage and traffic. 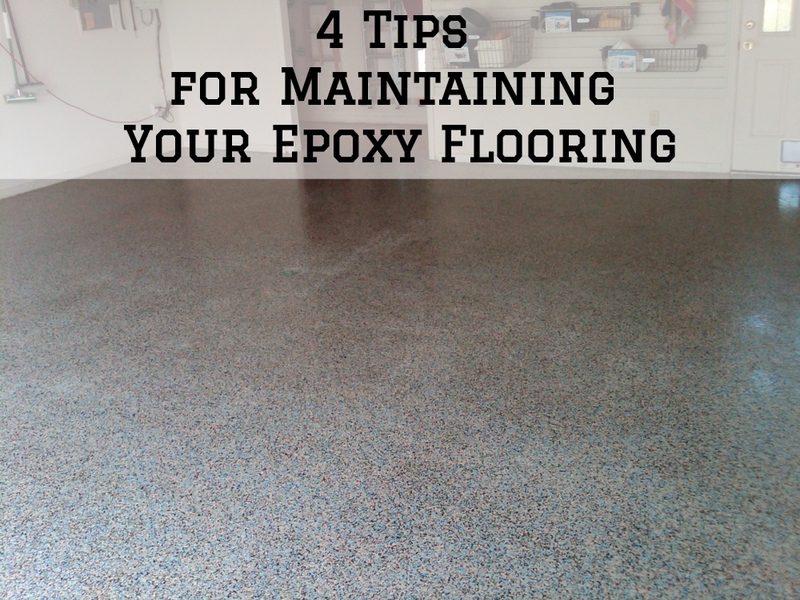 But, appropriate upkeep and care can ensure that your epoxy floor lasts longer before requiring major repairs. Simple maintenance and care routine will keep your floor looking new for years. This is probably the simplest way to keep your epoxy floor clean, extend its lifespan and avert any potential damages. Daily sweeping prevents buildup up of dirt especially in high traffic areas. You want to remove particles and substances that damage your floor and keep your working or living environment safe. For this, you can simply use a soft indoor broom or a dust mop. One of the much sort after properties of epoxy coatings is that they seal the porous concrete and make it much easier to clean. If you use your garage or workspace for messy projects, your epoxy floor may develop scuffs and marks. Deep cleaning as soon as possible is required to prevent permanent floor damage. For deep cleaning, mopping with hot water and ammonia is recommended for keeping your floor clean. Use 120ml of ammonia in every 4L of water. Soap and acid-based cleaners should not be used as they often damage and dull the floor. Other than presenting an immediate safety hazard, spills can be damaging to your floor depending on the type of material. Acids, oils, harsh solvents and caustics can damage your floor coating if not immediately removed. Wipe off spills on your floor with a soft cloth or paper towel immediately to avoid staining your surface. If the floor has tougher stains such as rust, you can use a kitchen scrubbing pad and hot water to gently scrub them away. Just never use abrasive cleaning products or chemicals on your epoxy floor. If you have installed high-performance flooring, you can be assured of the best puncture and scratch resistance. However, depending on how you use your floor, occasional cuts, gouges, and scratches are inevitable. Where possible, avoid dragging, rolling or sliding potentially rough or sharp items, heavy equipment or pallets across your floor to prevent scratching and cutting. • Use a welding mat when welding above the coatings. • If desired, the epoxy floor can be hosed out and squeegeed dry. If you’re a homeowner or a facility manager, you want to keep your epoxy floor looking clean and beautiful, and performing at its best. The above simple care and maintenance tips will not only keep your floor looking pristine, but will also increase its durability and performance in the long haul. 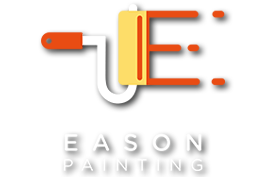 Otherwise, if your epoxy floor has lost its spark, protective properties, and performance, our crew at Eason painting can help. Whether it is the floor in your garage or the warehouse in your shop, we can transform your concrete floor or worn out epoxy coating from an unattractive dirt and oil magnet into a chemical resistant, easy to clean durable finish. Contact us today for more details.